"...she is certainly bred to be a precocious sort, a sister to the high-class Hoof It and the smart Ladies Are Forever..."
17:15 - This doesn't look the strongest contest of its type and a couple of the more unexposed sorts are expected to come to the fore. Tamerlane has shown promise in two of his three qualifying runs and is respected, but it could be worth taking a chance on ASTROSPEED (8) instead with the Placepot in mind. 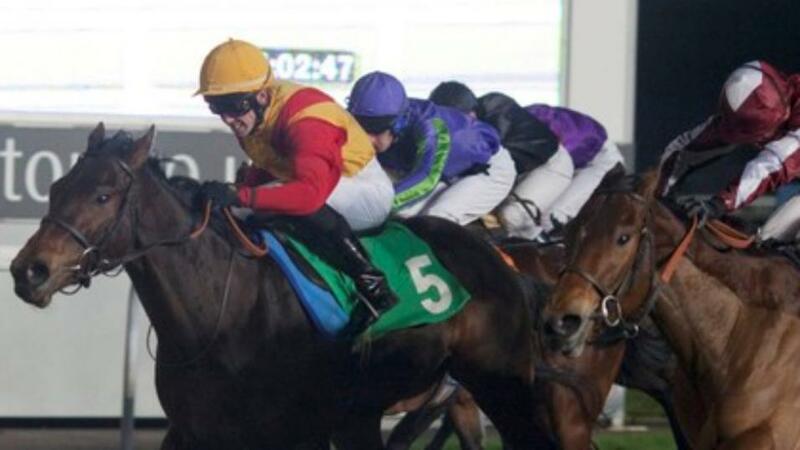 Admittedly, he showed only fair form in four starts for his previous connections in Ireland, but he starts out in handicaps from a lowly mark as a result, and having also been gelded ahead of his debut for the James Fanshawe yard, it would be no surprise if he took a big step forward (also wears first-time hood). 17:45 - William Haggas continues among the winners and his SEA OF REALITY (14) might be able to make a successful start; her year-older sister made a winning debut and she can follow suit. Carnival Rose looks the danger after a promising first run over C&D in October, while Just Later should also be able to pick up a race on the evidence of his two starts so far. 18:15 - Martyn Meade is well capable of readying a newcomer and he is fancied to have another first-time-out winner here in the shape of AIRWAVES (5), who could potentially have a big future judged on her pedigree alone. Indeed, she is certainly bred to be a precocious sort, a sister to the high-class Hoof It and the smart Ladies Are Forever - both of whom won at two - and this race might not take a lot of winning, with those who can boast previous racecourse experience not setting the bar all that high. 18:45 - PETERS PUDDING (7) was an eye-catcher at Wolverhampton a fortnight ago, keeping on well after finding himself short of room from two furlongs out until early in the straight. He clearly has a race in him from his current mark and can open his account in this fourth leg of the Placepot, with Second Collection and Riviera Claire feared most of the remainder. 19:15 - This looks a good opportunity for PANMOLLE (12) to make it third-time lucky with further progress on the cards. Simple Thought can provide the main threat. 19:45 - This looks an open heat to conclude the Placepot and it is only a token vote that goes the way of the progressive BUSBY (10), who showed he's still on a good mark when third over C&D 23 days ago. Outrage and Watchable head the list of dangers. 20:15 - POINT IN TIME (10) put up a career-best at this venue five weeks ago, scoring with something in hand, and is clearly going the right way. Flaming Marvel and Lightening Dance are others expected to feature. 20:45 - YOUR BAND (6) isn't bound to be suited by this shorter trip, but he remains unexposed so a 3 lb rise for last month's Lingfield win is unlikely to prevent another bold show. Zarrar is respected under a penalty, while Good Impression has each-way claims returned to this sphere.